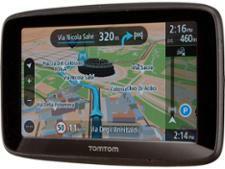 How To Buy The Best Sat Nav - Which? Dedicated sat nav or an app for your phone? Free app or a paid-for one? Our guide to buying a sat nav will help you choose the perfect model for you. The best sat navs and navigation apps will get you to your destination with a minimum of fuss, and smoothly cope with any disruptions or delays en route. They are a breeze to install and use. But other sat navs and apps are hard to use, with poor routing making them more of a hindrance than a help. They struggle to deal with route recalculations, too, which could leave you going round in circles. Our tough tests and expert reviews will help you find the right model for your needs and budget. Watch the video above or read our advice below to find out everything you need to know to choose the best sat nav. Just want to discover which sat navs and navigation apps we recommend? Head over to our sat nav reviews. How much does a good sat nav cost? 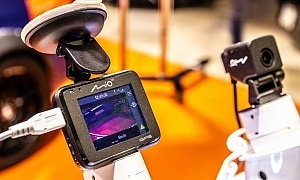 Standalone sat navs can range from anywhere between £50 to more than £300. Sat nav apps range from free to around £50. We've tested sat navs and apps from all the main brands, including Garmin and TomTom, and have found Best Buy sat navs for less than £100 – take a look at our guide to the best cheap sat navs. Sat nav apps tend to be cheaper. There are lots of free options, including Google Maps and Apple Maps, and even paid-for apps will cost you less than £50. To get started, select sat nav or sat nav app in the tool below, and explore the features on offer by clicking on the information hotspots. If you're on a mobile device you'll need to scroll down to the 'features' tab at the bottom of your screen to explore. 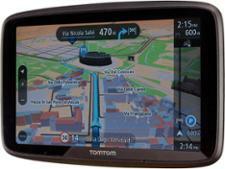 Dedicated sat navs are the traditional sat nav - standalone devices that work out of the box. 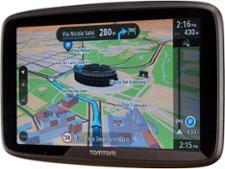 The sat nav market has reduced considerably in recent years, with Garmin and TomTom accounting for the vast majority of models sold in the UK. Pros: Built with navigation in mind, dedicated devices usually have good speakers and matte, non-reflective screens, and most come with free map updates. Some also offer live-traffic updates, which can prove handy if you want to avoid delays. Cons: A separate device to carry around. If you require additional maps further down the line (such as for driving in Europe), purchasing them can be expensive. Traffic updates often cost extra. Available for your smartphone, paid-for apps are an alternative to the dedicated sat nav. They are often considerably cheaper, and have many of the features of their standalone counterparts. Pros: Apps are a cheaper option and are easy to update. They're also extremely convenient, as you're likely to always have your phone with you. Cons: Their performance can depend on the smartphone you have. Some require a constant data connection, which can be costly if you're on a limited data plan. You'll probably also need to buy a windscreen or air vent mount, and a suitable charging cable. We all like the sound of 'free' and, no matter what your smartphone platform, there are a plethora of free apps available. However, they are something of a mixed bag in our experience, so it's worth checking our reviews. Pros: They're free. Easy to download and try - and if you don't like one app, simply delete it and try another. Useful for occasional users. Most smartphones come with one built in as standard. Cons: Since almost anyone can make a sat nav app and make it available in an app store, quality is highly varied. Some are advert-supported, meaning there might be an advert banner or pop-up ad on the app, which can be annoying. The basic (and built-in) apps often lack the quantity and quality of features available through standalone devices and paid-for apps. Pick a model with free updates and mapping. These days, most models from the big-name brands will come with free updates out of the box, but slightly older models may not. These may appear cheap initially, but can represent a false economy as you'll need to pay to update the mapping at a later date. If you use your sat nav regularly, particularly in congested cities or for commuting, you may find a device that offers traffic information useful. There are different systems, each with their own pros and cons, but the aim of each is to warn you of traffic building up around you, and minimise delays to your journey. Standing for Traffic Management Channel, this is the most basic form of traffic information that a sat nav device can receive. Traffic information is broadcast over the radio and can be picked up by navigation devices with an appropriate aerial (normally at a nominal extra cost). The advantage of this aged technology is that even the most basic of devices are normally configured to receive it. 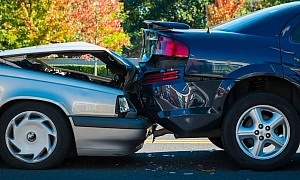 However it’s a basic system that will normally only inform drivers of the most severe accidents, and won’t automatically alter your route to compensate. 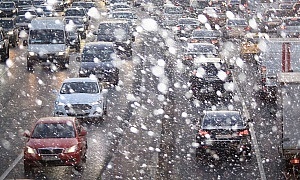 Mobile data connections allow newer sat navs to update your route to avoid traffic on a real-time basis. Sat nav apps for smartphones, such as Waze and Google Maps, can automatically access the devices data connection, while dedicated sat navs connect either via a Bluetooth connected smartphone, or via a built-in sim card. The latter comes with the added benefit of not eating into your data allowance. Sim-card enabled devices tend to be at the higher end of manufacturer model ranges, and normally sport price tags to match. However, if you’re a heavy sat nav user, you may find it more convenient and cost effective to use instead of your smartphone’s data connection. It’s worth noting that while many free sat nav apps offer live traffic information for free, some dedicated devices only offer a limited subscription with the initial purchase. This could mean you having to pay a renewal fee each year to maintain your device’s functionality. Sat nav screens are anywhere from 4 to 7 inches when measured diagonally across. While some people may enjoy the clarity of a larger screen, others may find it obstructive and will want to opt for something slightly smaller. Before buying your sat nav, it's worth cutting a rectangular piece of card to the size you're thinking of buying, and placing it in your car to get a feel for the size. It's important to be brand-aware when buying a sat nav. While there are only a couple of big-name brands on the market, there are plenty of cheap, rebadged models available on sites such as Ebay. While these are inexpensive, the few we've tested in the past have been poor, and the lack of aftersales service from an unknown company means it's unlikely you'll be able to keep the sat nav up to date.